This exempt executive management position plans, manages and directs the functions of the Forensic Science Unit and the Digital Forensics Unit. The Deputy Director is responsible for the overall administration of the Forensic Science Laboratory as specified in requirements set forth by COMAR 10.51.06.05-10.51.06.07. This position will also oversee the collection and evaluation of digital evidence, ensuring that training and equipment are properly maintained, and keep pace with trends and technological advances. Supervise the activities of the Forensic Science Unit and its employees. The supervisor must employ individuals who are competent to perform, record and report forensic analysis, promptly, accurately and proficiently. Ensure the Forensic testing and examination systems developed and used for each forensic analysis performed in the laboratory provide quality laboratory services for all aspects of test and examination performance including the analytic and post analytic phase of the forensic analysis. Ensure the physical plant and environment conditions of the forensic laboratory are appropriate for the testing performed. Ensure the Laboratory is a safe environment and employees are protected from physical, chemical and biological hazards. Ensure that the forensic analysis method selected for use in the laboratory has the capability of providing an accurate and reliable result with known or defined uncertainty. Ensure verification procedures are used adequately to determine the accuracy, precision, uncertainty and other pertinent performance characteristics of each forensic analysis methods. Ensure that the Forensic Science Laboratory participates in and uses an Agency-approved proficiency testing program. Ensure that remedial or corrective action plans are in place and in use to address deficiencies noted either in testing or in practice. Ensure that all such deficiencies and corrective action are documented. Ensure case files and evidence are maintained in accordance with established retention schedules and relevant statutes. Ensure policy and procedure manuals are available, up-to-date and followed by all employees responsible for any aspect of the forensic analysis process. Maintains an awareness of the current technologies, theories and practices in the field of forensic science by reviewing relevant literature and attending and participation in local and national professional development activities. Represents the Agency in matters that require the scientific explanation of forensic science programs and needs before legislative committees. Coordinate training programs, make assignments, answer questions, and assist assigned personnel in the performance of their duties, giving instructions and providing motivation. Prepare and deliver in-service training and conduct staff meetings, as necessary. Read and comprehend a variety of legal and non-legal documents, maps, and reference material to properly comply with organizational rules and procedures. Cooperate and exchange information with sworn officers and investigators during investigations. Delegate assignments to assigned personnel, conduct follow-up to ensure satisfactory completion. Develop and submit budget requests, order supplies and equipment, keeping inventories at prescribed levels. Approve assigned personnel’s reports, correct when necessary or have employees make corrections. Counsel assigned personnel concerning job performance and initiate disciplinary procedures, when necessary. Discuss problems with section members and attempt to resolve them. Evaluate the performance of assigned personnel and review evaluations completed by others. Submit periodic reports to superiors on the activities of the Forensic Science Section. Supervise distribution of new and/or copies of policies and information. Type reports, maintain records and monetary accounts, prepare correspondence under own signature or for review by superior. Obtain information for and draft portions of the annual Agency reports. Receive, document, and process evidence collected by other members of this Agency using chemicals, powder, and photographic equipment. Recover and preserve evidence from crime scenes, suspects, and victims using proper techniques as outlined in various written directives of this Agency as well as multiple Federal regulatory Agencies. Document investigations with photographs, recovery of physical evidence, and sketches of crime scenes. Prepare written reports and work assignments in a timely and efficient manner. Maintain accurate documentation for all cases worked. Conduct major crime scene searches under a variety of conditions to recover critical forensic evidence. Process evidence for latent fingerprints using various chemical methods. Assist MIS with DIMS printing/enhancing photos and evidence. Attend autopsies to document, photograph, and recover evidence. Transport and maintain accurate chain of custody forensic evidence to other federal, state, and local crime labs for additional analysis. Appear in court to present evidence on cases investigated and to testify against persons accused of committing crimes. Gather information, write notes, reports, and other documents necessary to provide the State’s Attorney with information needed for the prosecution of cases. Testify in court and at other proceedings in a clear, well-organized and logical manner to accurately provide information describing events, objects, and evidence associated with a case. Assist in securing and managing crime scenes by limiting access until evidence can be properly collected, preserved, and documented. 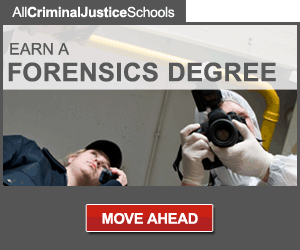 Attend seminars and read materials to remain informed of new methods and techniques regarding Forensic Science advancements. Assist with teaching at the Criminal Justice program at the Southern Maryland Criminal Justice Academy and at the high school level. Maintain complete, required, and preventive maintenance to assigned vehicle, such as changing tires and checking fluids. Interact formally and informally with schools, community groups, and local businesses. Participate in Agency community relations programs. Address meetings of the public and the media to provide information and to respond to questions, complaints and/or concerns. Perform public relations duties by serving on special boards and committees and by speaking at schools, neighborhoods, and other interested groups. Attend and participate in training sessions and other meetings, as required. Perform any other related duties, as assigned. Sworn Forensic Science Technician Quality Assurance Manager/Forensic Science Unit Technicians and Fingerprint Specialists. Candidates for this position must meet the education and experience requirements at the time of appointment. Eight (8) years of experience in law enforcement with three (3) years in Criminal Investigations, or, any equivalent combination of experience and training which provides the required knowledge, skills, and abilities. Must have a Master’s Degree in Forensic Science, Natural Science (such as Chemistry, Physics, or Biology), or a subspecialty or Natural Science (such as Organic Chemistry, Biochemistry or molecular biology). Three (3) years documented lab experience and two (2) years of supervisory experience per lab licensing requirements. 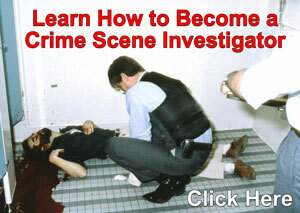 Completion of an accredited crime scene technical school and completion of certified photography classes. Ability to recognize physical evidence and know its potential value. Knowledge of techniques for recovering and preserving physical evidence. Ability to document investigations, including the recovery of physical evidence. Ability to use a fingerprint magnifier and crime scene technician equipment. Ability to respond immediately to calls for Forensic Science Technician service, both on foot and by motor vehicle. Ability to be exposed to all types of environmental conditions ranging from a courtroom setting to standing at a crime scene for a prolonged period of time. Temperatures ranging from below freezing to above 100 degrees.